Modular FRL is also called air preparation unit, which is divided with air filter, air lubricator and air regulator(pressure reducer, because they only can reduce the air pressure and can not boost more pressure ). The three units can be use separately or make a combination to use. For examples, air filter+air regulator = filter regulator, air filter+air regulator+air lubricator = three combination or two combination. Modular FRLs play important role for pneumatic components and air tools. Air lubricator can lubricate the components with air. 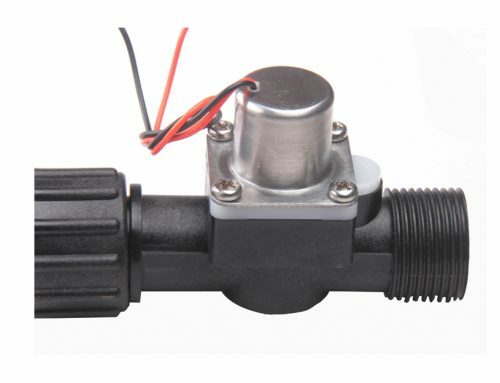 Air regulator can get stable air supply and the pressure you want. The element and the bowl are in one piece. Replacement can be done with simple tool. 1. Buy the right size units, including filter, regulator, lubricator according to your actual requirements. 2. Before installing, please check whether it is damaged or broken during transport and whether any parts are loose. 3. Please install as arrow direction and keep the unit vertical. 4. For units with protection cover, please make sure covers are fixed before use to avoid the danger. 5. For pressure regulator or regular filter, please turn hand wheel to zero position, and then install pressure gauge. Let air go in and turn the wheel to a proper pressure. 6. For lubricator, it is required to adjusted the oil needle to zero position and add the oil below level line. 7. Please remove metal chips, dusts and oils stains in the tubes if you use metal tubes to connect. 8. PC transparent cup of the filter, lubricator are made of PC plastic material, no synthetic oil, organic solvent, chemical, cutting oil, volatile gas are allowed. In order to avoid destruction of material and affect safety of applications. 9.Use spanner to tighten the pressure meter while installing, never tighten with your hand. 10. Attached is the torque table below while tighten the connector, never exceed the range to avoid damage of device. 1. Please never use for delivering and management of the purpose of human life and body. 2. Never use in operation which rise obvious “Danger” and safety concern to human life and body. 3.Confirmation of safety shall avoid the following conditions which cause safety impact to human and damage of equipment. 3. Shut off the power switch and sir source properly before service and maintenance, avoid consequent hazard and damage of product. 4.Avoid consequent hazard and damage of product which assembling and operation. 1. Pay attention to the cleanliness of the pipeline which laying the pipe, avoid dust, dirt and leak proof tape been sucked into the pipeline. it affects the operation performance of the products.